Circa 1856. Located in Brandywine Valley, this Federalist mansion and carriage house offer romantic accommodations with thoughtful extras. 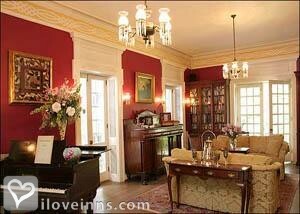 Inside the impressive three-story manor there is a spacious living room with wood-burning fireplace and a baby grand piano. 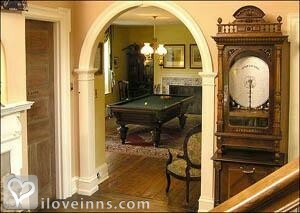 A billiards room features fireside contemporary and antique games as well as a pool table. Relax in the cozy solarium with separate sitting areas. Appealing guest bedrooms provide upscale amenities that pamper and please. 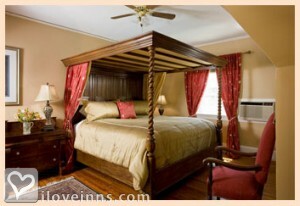 An antique 10-ft-high Rosewood half-tester bed is showcased in the Windsor Room. Candlelight gourmet breakfasts are served in the formal dining room that boasts a floor-to-ceiling fireplace and looks out on spacious lawns, trees and a stone terrace. A guest pantry is stocked with snacks and beverages. The two-story, two-bedroom carriage house is perfect for children and pets with a fully-equipped kitchen, living room, dining room, 2-1/2 baths and fenced back yard. Payment Types Accepted Include Personal Checks, Master Card, Travelers Checks, Visa and cash. This property has 8 total guest accommodations, 7 with private bath, 3 with fireplaces, 7 with hot tubs, 2 suites, 1 guest house and 2 cabins. The types of beds available include Queen and King. 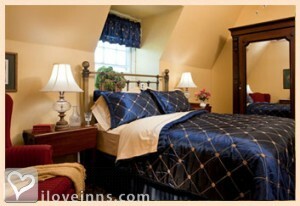 In the Carriage House, Cotswold and Brighton rooms. Additional cleaning fee required. We are small enough to give specialized attention as requested but large enough for total privacy. Beautiful rooms some with canopies. 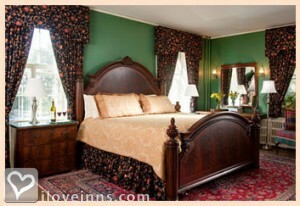 Chosen as one of the most romantic B&Bs in North America two years in a row by a major travel magazine. 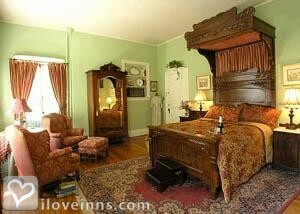 Select Registry, Distinguished Inns of North America, ABBA, PA Travel Council, Chester Co Tourist Assn, Professional Association of International Innkeepers, Delaware Country Visitors Bureau, Brandywine Valley Bed and Breakfast Association. Seven acres of lush greenery. Three acre meadow with horses that love to be fed snacks by guests. Two nights weekends April through December. Some holidays and special events require a longer minimum. Well behaved children under 12 welcome in carriage house. 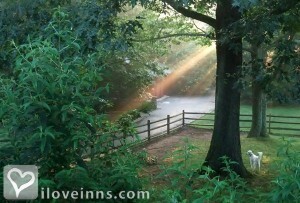 $25.00 per night per room cancelation fee if cancelation is 10 days in advance of check in. 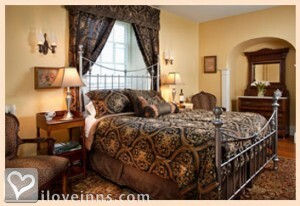 If within 10 days, total charge applies unless room is rebooked less the $25.00 per night fee. Holidays and long term stays have 30-day cancellation period. Located near many of the Brandywine Valley attractions, including Longwood Gardens, Winterthur, Brandywine Museum (Wyeth), and Nemours. Local dining and historic restaurants are nearby. Swarthmore, Drexel, University of PA, Villanova, Bryn Mawr, Haverford Neuman College. 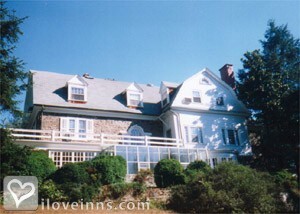 For our first try at B&B lodgings, we've probably started at the top, and nothing else will ever measure up to this. Wonderful food, wonderful home, grounds and wonderful hostess! Philadelphia Magazine, Back Roads USA, Mid-Atlantic Country, Philadelphia and Its Countryside, Pennsylvania Magazine, Baltimore Magazine, NY Times: "The elaborate breakfasts are a high point. 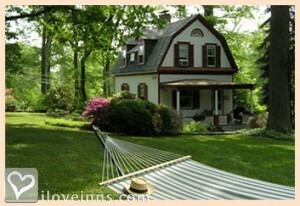 ", voted "One of the Most Romantic B&Bs in North America".